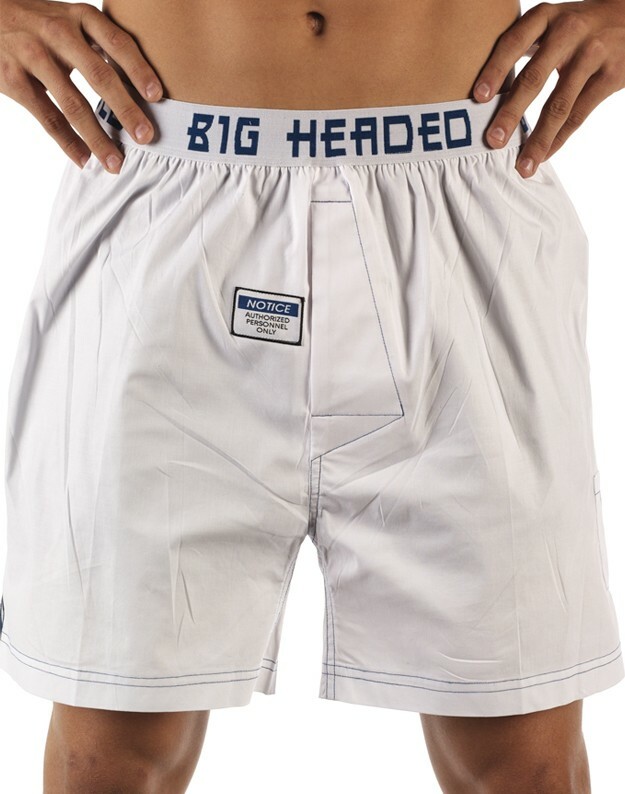 Only made of the finest combed cotton, 97% cotton 3% spandex stretch woven boxer with our signature red tape measure inside fly, satin jacquard "Caution Stripe" side inset panels. Notice Authorized Personnel Only patch at front. 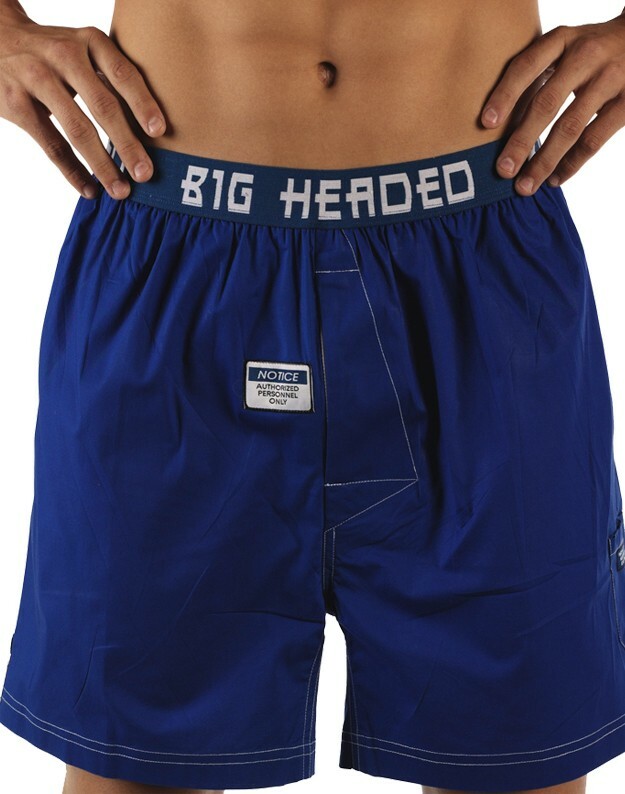 Front hidden condom pocket with Head Protection Must Be Worn at All Times strip label, Big Headed logo ultra soft elastic waistband. "Access Denied - Proper Authorization Required."